We are excited about this!! You are about to be blessed, especially if you are looking at year 3. We want to introduce the Nelson family today, who would like to share with you the details of how they implement AO Year 3 in their homeschool. The Nelson family has three children -- all boys -- and they've been homeschooling with AO for three years, using Years 1, 2, and 3. Diana Nelson blogs at http://takingjoyblog.wordpress.com/ You'll want to bookmark that and follow her blog. We are so thrilled to be able to share this post with you. It is the first in a new series we hope will grow- guest posts by AO users on how AO works for them. We are so thankful that Diana graciously shared this post with us to use on the blog, and thus with all of you. 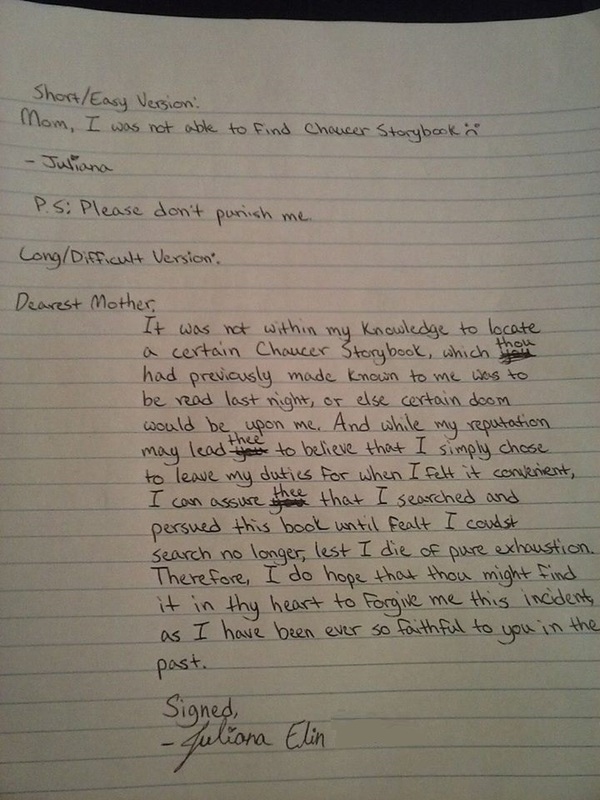 *Our family does Shakespeare together in morning time. We have substituted Shakespeare for Everyone in place of Charles and Mary Lamb’s Tales from Shakespeare – a personal preference. **We do poetry in morning time or at "tea time," which is why he did not read independently. Specific Scheduled Book Advice Even though A9 can read several of the history / biography books on his own, I was hesitant to just hand it all over to him because we are still doing a mommy-and-me style timeline. A9 is probably an above average reader (he was an early reader), but he's still a reluctant one. He's the type to skim rather than read carefully, so we chose to read aloud more than was probably necessary. An Island Story is an old friend. We've read it for the past three years, so that one is familiar and easy. 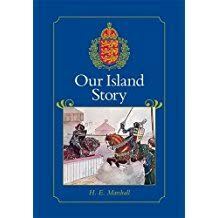 This Country of Ours starts out overlapping the timeline in An Island Story, so even though the chapters are longer, An Island Story has brought us up to this point. Child's History of the World is another book that overlaps. 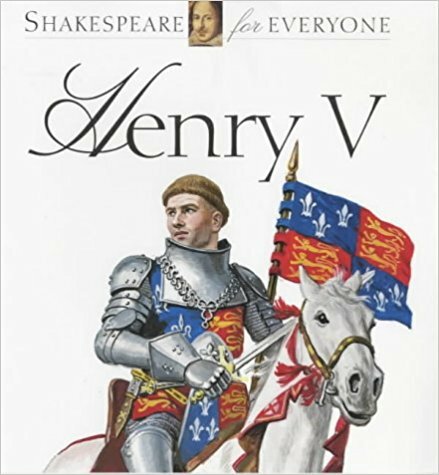 It's by far the easiest reading level of the three main history books scheduled in Year 3. The historical biographies are all fairly easy reads. We did Leonardo Da Vinci as a read aloud just because in Term 1 our son was not quite mature enough to read independently AND give a good narration. (Plus, it's a little boring.) A lot of maturing happened this year! By the end of the year I was able to transition more and more over to A9. We started American Tall Tales as a read aloud, but he was able to read the second half independently with good oral narrations. The most challenging book in Year 3 is The Heroes by Charles Kingsley. Not only is it an elevated prose, but also my son was only slightly familiar with Greek gods and goddesses. A9 picked up Percy Jackson: The Lightening Thief at the library around the middle of Term 2 -- purely coincidentally -- and I think that helped him relate to The Heroes a little better. Marco Polo's Adventures in China was the next most challenging. 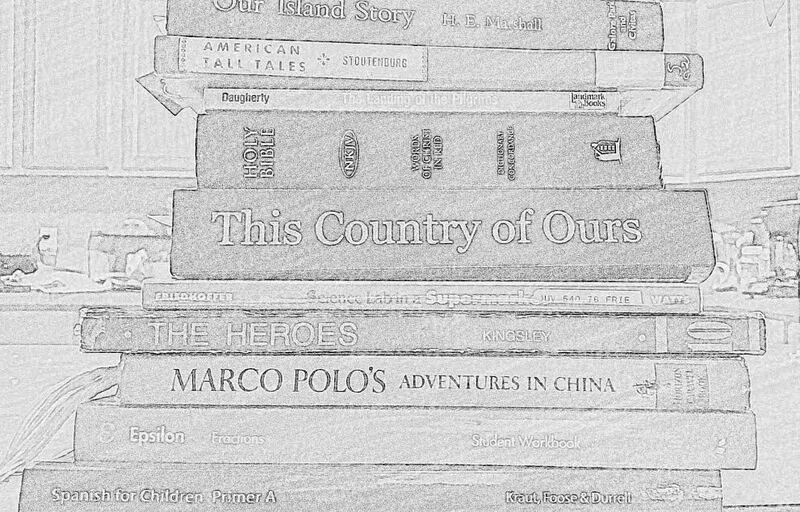 I know there are many options from which to choose for your Marco Polo book. We landed on Milton Rugoff's after I checked out a few options from our library (inter-library loan). I liked all of the photos, maps, and sidebar info in Rugoff's book. 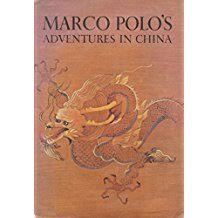 I have seen AO Advisory members comment about the many Marco Polo options, saying that all of them are great books, and the only reason there are so many options is so that there isn't a mad rush on just one version. 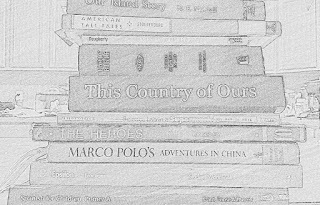 All that to say, if you're planning Year 3, you'll be tempted to worry and fret over which Marco Polo book to choose. Relax and buy the most affordable and most available one on the AO list of options. 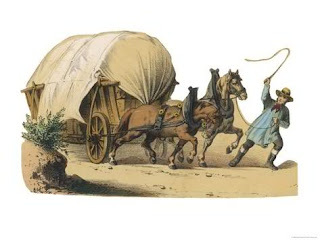 And, remember the purpose of this text is to teach geography, so be sure to map out the Polos' travels. We also checked out a book from the library about what Mongolia is like today. I thought it a good idea that A9 understand that parts of Mongolia today are urban and industrial. 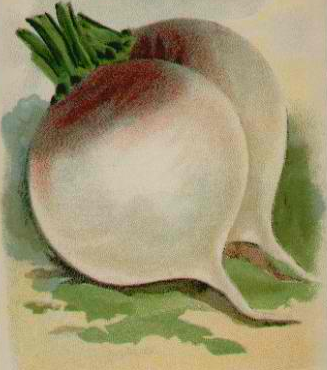 Parables of Nature is another old friend. I would almost be tempted to let A9 read one of these stories independently, but frankly we just enjoy these together way too much. They are a time investment, but when we settle in to these stories we always have deep conversations. Even though Trial and Triumph is familiar from Years 1 and 2, I still read this one aloud just in case it raises any questions. There's a lot of death -- and church history (obviously) -- that I want to help A9 interpret. I've seen Catholic AO users say this book is very protestant, and I've seen protestant AO users say this book is very Catholic. I think the book does a fairly good job walking that line (we are protestant), and I can see why the AO Advisory has chosen it. Still, I find this book needs a chaperone. My kiddo is so familiar with the New King James Version of the Bible that I find that he gives excellent narrations. In fact, A9 asked to begin a written narration on New Testament reading assignments. Sometimes we also read the same selection out of The Message or the English Standard Version if the selection is particularly challenging (more typically in the Old Testament). As already noted, we traded Lamb's Shakespeare for a line of books called Shakespeare for Everyone. I found the Georgian / Victorian language used in Lamb's only confused Shakespeare's Elizabethan era plays, so we opted for a modern retelling followed by film viewings. Because we do Shakespeare as a family, we had our own rotation going rather than juggling Year 1 and Year 3 assignments. Now I see that AO has moved to a Shakespeare rotation, we will probably try to jump on board (so long as we don't repeat what we've done recently). I turned over three of the literature selections (by MacDonald, Marryat, and Kipling) for Dear Husband to read to A9 in the evenings. They were all tackled at bedtime with very little involvement from me. They read Little Pilgrim's Progress by Helen Taylor last year in Year 2. DH says he thinks A9 could have read these independently, but we thought it best to have Daddy pronouncing the words properly and doing character voices. Pagoo and Secrets of the Woods for Natural History / Science were reserved as read alouds so we could reinforce the science involved. Rather than giving these over to A9, we checked out additional picture books from the library that involved sea life and woodland creatures to support the scheduled books. 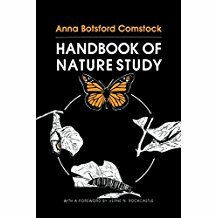 The other two Natural History / Science books (by Science Lab in a Supermarket and A Drop of Water) were both books I felt I could hand to A9 and he would run with it. We did the experiments together, but really he required hardly any guidance at all. He has also read "on his own time" countless books in the fantasy genre, to which he seems naturally drawn. We've also completed several family read alouds this school year, including The Hobbit, The Borrowers, The Lion, The Witch, and the Wardrobe, Love That Dog, and the Ramona series (Beverly Cleary). A9 is still loving Math U See for his main math curriculum. He finished the Delta book around Easter and has jumped right into Epsilon. 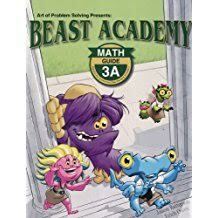 I'm also trying to get him interested in Beast Academy math, which is more problem solving style questions. Math nerdiness run in our family, so A9 is a bit ahead in math. I know many kids his age in the Beta or Gamma Math U See books. I love that those books are not grade-specific so kiddos can be comfortable doing their best without undo pressure. In Term 3 of Year 3, A9 began learning typing / keyboarding online at www.typing.com, which is a free program that saves his progress. We are still plugging away at Copy Work, but this child is perpetually behind in that department. Even though his handwriting is atrocious, his spelling and grammar are naturally exceptional (I mean that in a good way). I expect dictation in Year 4 to be a breeze. 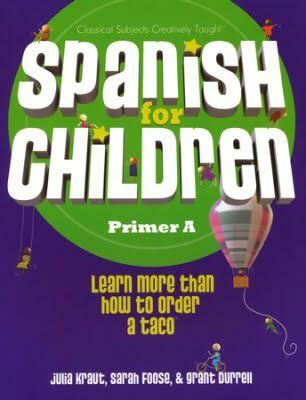 For foreign language, we went with Classical Academic Press's curriculum. 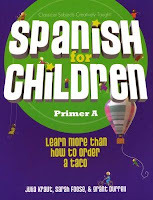 A9 started out with Song School Spanish and has since moved on to Spanish for Children Book A. Next year we will add Visual Latin 1 and see how we do. I'd love for him to add in French someday, but recently he has shown interest in learning Japanese. We shall see what will be. Weekly Instruction Subjects We very closely follow AO's artist, composer, and folksong/hymn study rotations, utilizing morning time to do this as a family. Additionally, I have taken A9 and L6 to a couple local symphony performances for a little in-person music appreciation. A9 and L6 both take piano lessons from me at home, and A9 took a guitar class and belongs to a community boys choir, which performs many folk songs and spirituals. We also learn about nature topics in morning time, according to my own reading of the Handbook of Nature Study by by Anna Botsford Comstock, various picture books, and field guides. A9 and L6 both sketch in nature journals, and we belong to a weekly hiking group for kids (taking its cue from the Wild and Free movement). Oh, and all three boys are involved in Cub Scouts. We also attend a local school co op one day a week, which gives the boys 4 hours of classroom experience each week. In order to fit this in, we stretch the 12 week AO terms into 15 week intervals. The boys all take a swim class designed for homeschoolers at a local indoor pool. During the winter, A9 played Upward Basketball and participated in an archery for kids program. All three boys are now playing Little League Baseball, and I think A9 and L6 might be interested in track next spring (2018). Probably our best source of recreation, though, is living in a cul de sac where the boys ride their bikes and scooters up and down the street. Whew! Man, that sounds like a lot, but remember we're not doing all of it every day. Also, A9 is an extreme extrovert. L6 is much more introverted, so I'm hoping he's going to take it easy on me. J4 seems to be somewhere in the middle. I hope this record of how our Year 3 played out helps someone out there. Until next week (or so). Over in our forum we have an ongoing thread called 'You might be using AmblesideOnline if...' and then parents share their stories. It's a lot of fun. One of my favourite such stories from our own family is from many years ago, when my own mother took my second daughter to the pet store for phone, and then teasingly suggested they should buy a pet snake. "Oh, let's do that!" said my girl, then 8 years old, "Mother will be aghast!" Sometimes people post on our facebook group, too, and I got permission to share this one because it tickled me so much. Feel free to share your own examples of how living books have changed your own family's vocabulary and brought some humour and light into your lives. 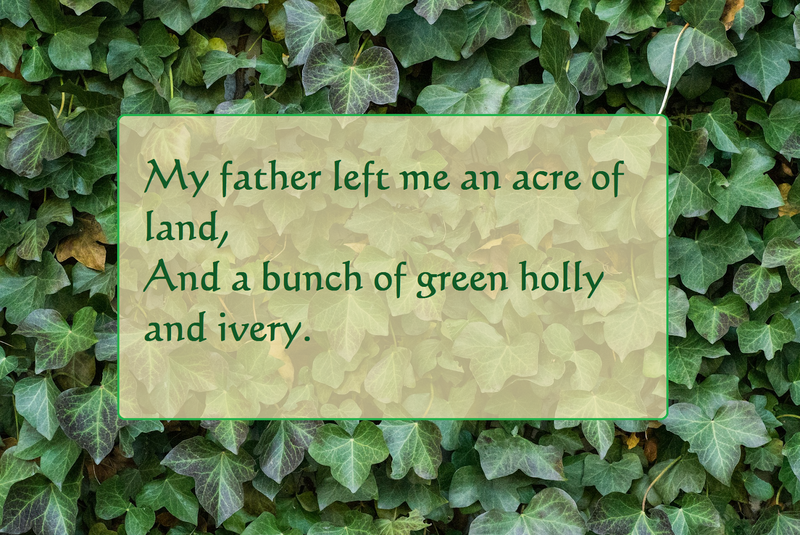 My father he left me an acre of land,Sing ovey, sing ivy.My father he left me an acre of land,Sing holly, go whistle and ivy. 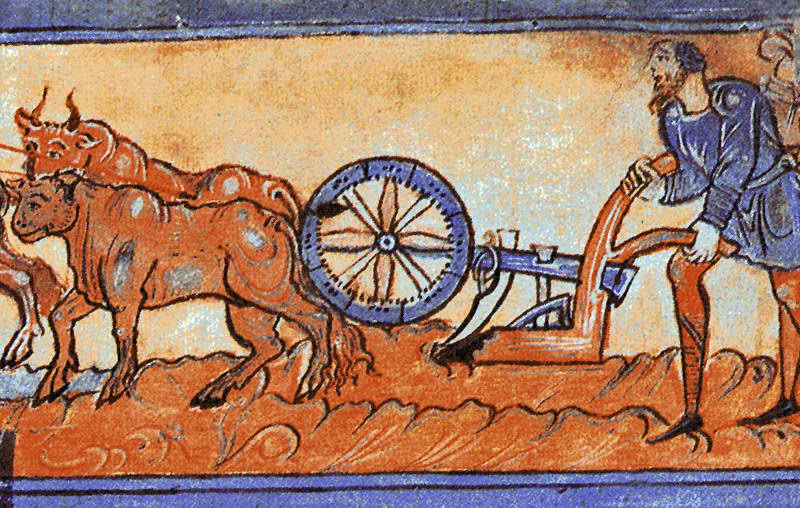 I ploughed it one morning with a ram's horn,Sing ovey, sing ivy.I sowed it all over with two pepper corns,Sing holly, go whistle and ivy. I first knew this song as a long poem. When I was 10 I spent my Christmas week in the hospital laid up with a bad case of a pneumonia (my temperature reached 106). I had to receive pencillin via injections around the clock, every four hours, which I loathed but was too sick to fight about it. One of my Christmas presents was the Golden Treasury of Poetry, edited by Louis Untermyer and illustrated by Joan Walsh Anglund. (this was my copy, but it's also been republished with this cover.) It was from my aunt, who always gives the best gifts. I read it from cover to cover, I think, spending that week in the hospital with nothing to do. I loved poetry before that week, I loved it even more afterwards. The Outlandish Knight was one of my favourites. The spunky, clever would-be victim turning the tables on the villain and tossing him into the brink gave me much satisfaction. To rot in the sun salt sea. 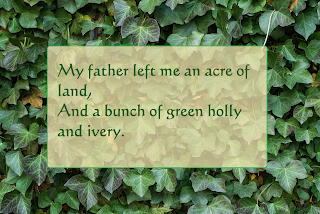 "This ballad is known throughout Great Britian and Ireland, as well as northern and southern Europe. It appears in several collections as May Colvin, the earliest of which is Herd's Ancient and Modern Scottish Songs (1776).This ballad is Child Ballad #4 (Lady Isabel and the Elf Knight)." Outlandish probably just refers to the knight living in the border country that was not quite England and not quite Scotland- a place short on law and long on outlaws. In some versions of the song he's an elfen knight. You can read more about several variations and recordings here. Please do not let yourself get caught up in questions about which lyrics are 'right,' and why are they different, and how can you sing from one set of lyrics if the lyrics used in the youtube version you are listening to is different? It doesn't matter. Folk songs change over time and region, and even from one singing to the next by the same singer. Pick a version and go. Even if the lyrics you choose are slightly different or even very different from a youtube version, it's not that important. The youtube version is for the tune, not the visuals and not for singing along with- at least not for very long. Only use the youtube version until you can sing through the song yourself (with lyrics). One way to do this is to first play it a couple times, then play and sing along. Next day, play and sing along. Next day, turn the sound down a bit, play and sing along, and every day turn the sound down a bit more until you don't need it anymore. Because you know the point here is to sing the songs, right? We are not being spectators at an entertainment. We are participating, fully participating, in our own education and development, nourishing our souls, and singing songs ourselves. 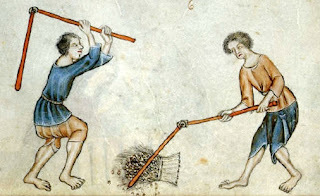 Later you will find yourselves singing as you wash the dishes or weed a garden, or on a car trip, or as a joke when giving the children a bath ('take off, take off, thy filthy clothes....'). You will hear your children making up their own lyrics, or re-enacting the sing with their toys, or referring back to the lyrics in a narration (this character reminds me of the villain in Outlandish Knight, because he...). 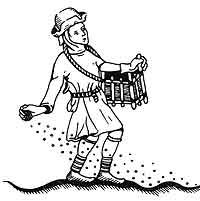 There is a playlist for this term's folksongs here. Please join us and sing!